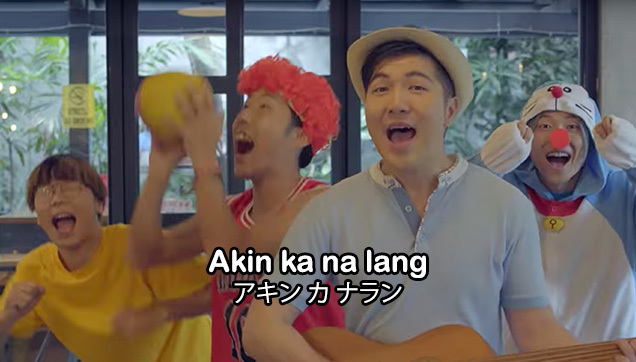 Japanese singer Aisaku Yokogawa did another amazing version of Filipino Song featuring Mr. Kuya Omurice. Kuya Omurice recently became popular because of his good looks and good heart for helping other people. Branded Kuya Omurice because he sells Omurice on the street and uses the money that he earned to help other people and not for his personal use. Aisaku's remake of "Akin Ka Na Lang" was originally popularized by Itchyworms. 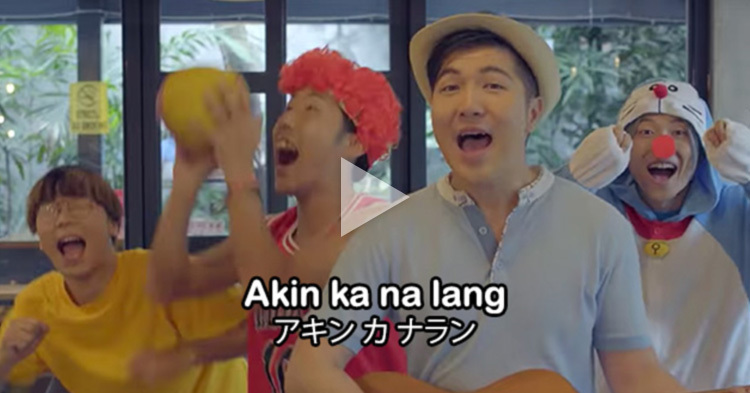 The video has a combination of Japanese humor and Filipino touch. The almost 4 minute music video shows a love triangle story which all started when a couple entered a cafe restaurant and Kuya Omurice was instantly attracted to the girl which unfortunately already has a boyfriend. Of course, the girl was devastated with what happened. Mean while Mr. Omurice witnessed everything and came to the rescue. I will let you find out what happened next between the girl and Mr. Omurice. A feel good video that will make you fall in love again and again plus the cute and charming smile of Aisaku and Kuya Omurice is something you must see for yourself.